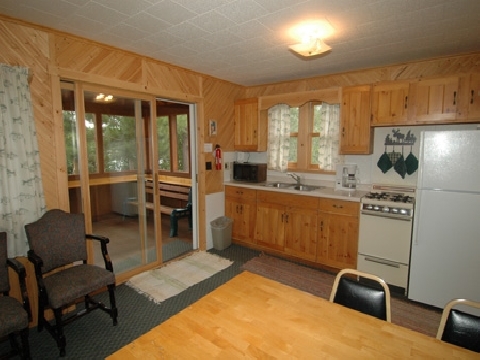 This Newly remodeled three-bedroom lake-side cabin features a beautiful knotty pine living/dining area with large screened porch facing the lake. 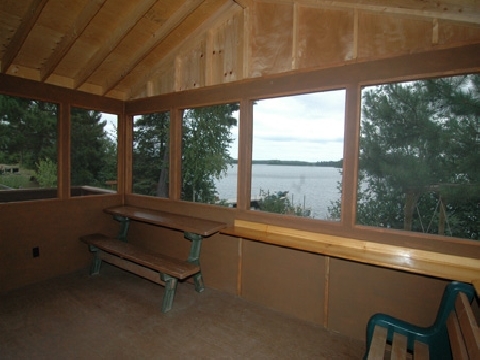 The kitchen area has plenty of cabinets, new appliances and a beautiful view. 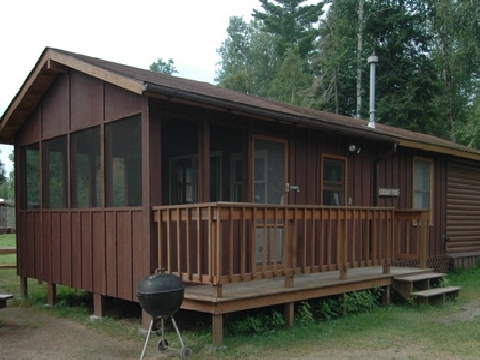 A large wood sun deck spans the cabin front. 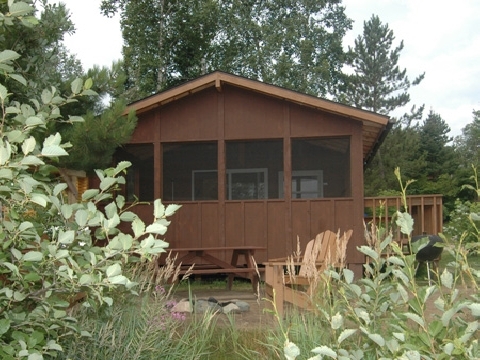 Located near the beach, this cabin is preferred by groups with young children.